Dog cancer spread to the lungs is a cancer that has originated from another body part. Various aggressive forms of canine cancers have a tendency to invade distant body parts through a process that is medically known as metastasis. Dog cancer spread to the lungs will cause dogs to develop respiratory signs on top of the signs associated with the primary cancer. Dog cancer spread to the lungs is something that veterinarians screen for and monitor for as this is a sign of a primary cancer advancing. Aggressive forms of cancer originate from one location, but then, through the process of metastasis, cancer cells travel through the bloodstream or lymphatic system to reach other parts of the body. The area where the cancer originates from is generally known as primary cancer, while the invaded distant body parts is referred to as secondary cancer. A dog cancer spread to the lungs is a different situation than a lung cancer that has originated in the lungs. A dog cancer that has started in the lungs would be considered a primary cancer. Compared to humans, it is quite rare for a dog to develop primary lung cancer. In humans, primary lung cancer develops in over 100,000 people in the United States alone with men over the age of 35 mostly affected. 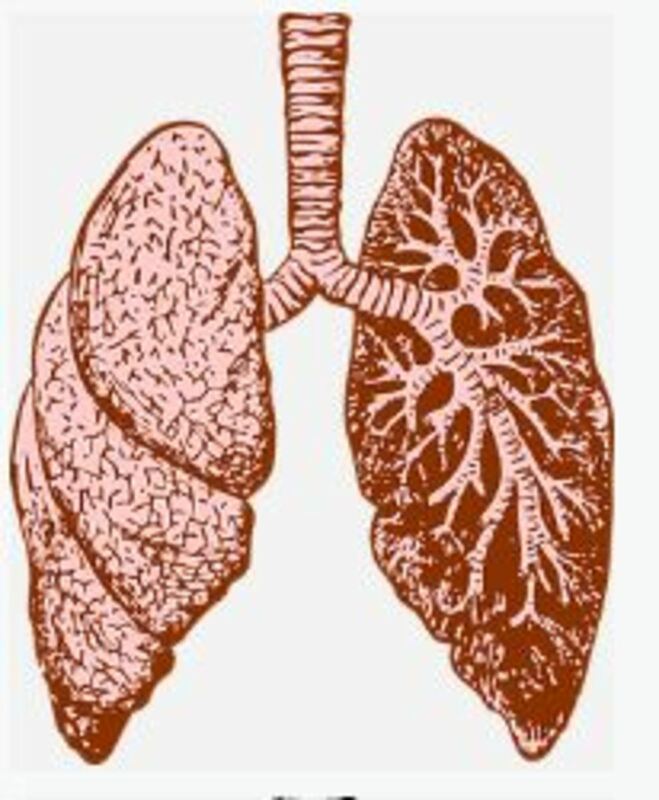 Primary lung cancer in humans is strongly associated with smoking. In dogs instead, according to the textbook “Clinical Veterinary Oncology” by Stephen J. Withrow and E. Gregory MacEwen, primary lung cancers in dogs account for only 1 percent of all canine cancers. Secondary cancer to the lungs is therefore much more common than primary lung cancer in both dogs and cats. There are several forms of primary dog cancer that spread to the dog’s lungs. Mammary tumors, bone cancer, spleen cancer, and melanoma are just a few examples. When a dog is diagnosed with a primary cancer it’s not unusual for the vet to request chest x-rays or a CT scan to check for signs of dog cancer spread to the lungs. The vet in this case in on the lookout for the presence of nodules, basically, gray round shaped mass-like lesions. At this point, should nodules appear, the next step would entail obtaining a biopsy or aspirate so to examine the cells under a microscope. There are a few conditions other than cancer that may cause masses in the lungs. Whether or not to pursue this further diagnostic step is often a matter of the dog owner’s aspirations. “The question I always ask clients having a difficult time deciding is if you do the biopsy and find cancer would you treat the disease with chemotherapy or whatever treatment is appropriate? It isn’t worth putting her through extensive test if you are not going to go all the way with treatment,” points out veterinarian Dr. Leigh MP. A biopsy in this case can also prove helpful in differentiating potential dog cancer spread to the lungs from other possibilities such as a systemic fungal infection such as coocidiomycosis, histoplasmosis or blastomycosis. A biopsy can be obtained through needle aspiration under ultrasound guidance. Dogs suffering from dog cancer spread to the lungs may develop initially vague symptoms such as loss of appetite, weakness and weight loss. As the cancer advances, dogs may develop respiratory signs such as a persistent cough, coughing up of phlegm with or without blood, shortness of breath, dog wheezing and chest discomfort. If the cancer is large, it may push against the esophagus and cause a reluctance to eat. These secondary lung symptoms may take place in addition to other symptoms that may be associated with the primary cancer. For instance, a dog with bone cancer may be visibly limping, and when the cancer progresses, the dog may also start coughing and develop the respiratory signs associated with dog cancer spread to the lungs. At the early stages of dog cancer spread to the lungs, there may be no lung-related symptoms yet. These may arise later on as the cancer advances. It’s important to recognize that in aggressive cancers, the abscence of visible nodules on x-rays doesn’t mean the cancer hasn’t spread. Often, there is a spread at microscopic levels which cannot be picked up by chest x-rays or CT scans. There are various forms of cancer that can spread to the dog’s lungs and therefore treatment options may vary. Generally, surgical excision may be an option when the dog’s primary tumor has been removed and there are limited signs of spread with tumors that have chances of being completely removed with surgery. Chemotherapy may be an option in certain types of cancers where extended survival times look promising. Consulting with an oncologist to discuss this option would therefore be important. In advanced cancers with a poor prognosis and short survival times, palliative care may be the only option if the dog is stable. In this case dogs may be prescribed pain killers and steroids in hopes of managing pain and increasing appetite. If there is excessive mucus production/coughing, dogs may temporary benefit from being given a bronchodilator (such as Theophylline) to aid in opening up the airways, while steroids may help reduce tumor size. Guaifenesin may also help by increasing mucous clearance from the airway, further adds veterinarian Dr. B. As the cancer advances unfortunately respiratory problems will worsen, leading to the dog gasping for air.